Michael Wolf's Tokyo Compression shows subway commuters squeezed to the brim. 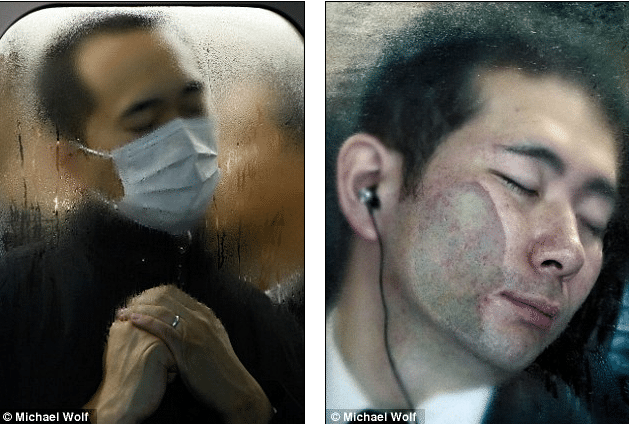 Home Pop Culture Michael Wolf’s Tokyo Compression shows subway commuters squeezed to the brim. Michael Wolf’s Tokyo Compression shows subway commuters squeezed to the brim. Are you of the opinion that your commute on the subway is an overbearing and ardent one? Perhaps you may one to think that over as you lay your eyes on the photos below courtesy of German born photographer Michael Wolf who has released a book titled ‘Tokyo Compression,’ (as released by Peperoni Books and Asia One Books) which documents his taking photos of the Japanese subway system these last 15 years. Looking at the pictures one can’t help but feel empathy for commuters who are forced to deal with Tokyo’s dense population and strident commuter system, which is said to be challenged by 11 million commuters a day. Standing on the platform as the doors snap shut, Wolf has been able to capture a whole range of expressions from his unwilling and trapped subjects. Some stare disconcertingly at the lens, others close their eyes to try and escape the brutal overcrowding, while others have their faces contorted against the steamy glass windows. 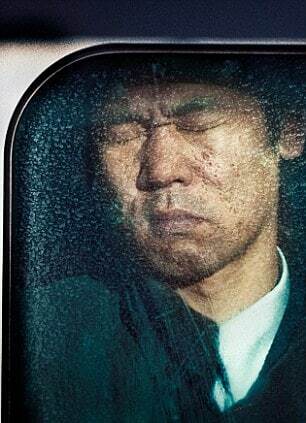 By concentrating on the details of each face and each subway window, Wolf enables the viewer to connect immediately with the emotion, regardless of whether the viewer has ever experienced such overcrowding. Some commuters squeeze their eyes shut, others meet the gaze of the lens directly, which is perhaps more disconcerting: They are unwilling subjects trapped in the train window. Seeing face after face crammed into this same environment, the actual location of the people becomes almost irrelevant and viewing them becomes almost ghostly. Of course that may not necessarily help you next time you find yourself feeling trapped next time you’re on a packed subway car but at least you know you’re not in it alone. Such is the lot of humanity….